NewSpring Church After Noble: Is This the Leadership Model of the Future? 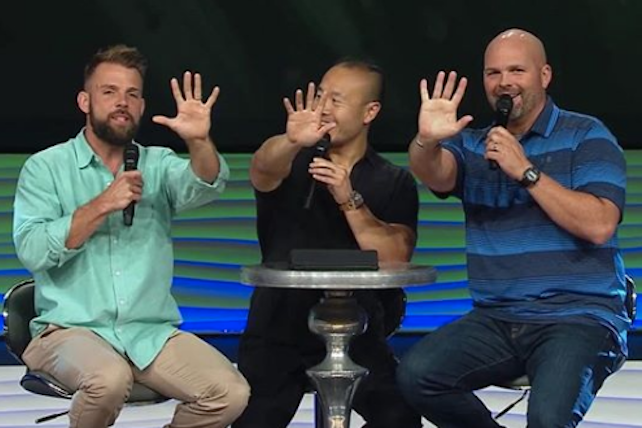 Home News NewSpring Church After Noble: Is This the Leadership Model of the Future? South Carolina’s NewSpring Church is healthier and stronger than ever, thanks to a team approach to ministry and God’s grace. That assessment comes from Clayton King, one of three teaching pastors at the 14-site megachurch. NewSpring faced major upheaval two years ago when founder and senior pastor Perry Noble was fired for alcohol use and other behaviors. At the time, NewSpring also was $47 million in debt, King revealed. After Noble’s departure, King served as interim pastor for one year while church leaders prayed for direction. He didn’t want to become the next senior pastor, he says, and neither did some other key leaders. Based on guidance from the Holy Spirit, they decided to embrace a “true team approach,” which King notes may become a model for the future of the church in America. As part of its revised structure, NewSpring “literally in our new bylaws named Jesus Christ as our senior pastor,” King says. But contrary to popular belief, “team leadership” doesn’t mean “no structure at all,” he points out. Day-to-day ministry responsibilities are shared by four lead pastors, three teaching pastors and 14 campus pastors. The three teaching pastors, who rotate preaching duties, strive to “speak with one voice” even though they are three unique voices, King says. The weekly sermon is broadcast from NewSpring’s Anderson, South Carolina, campus and piped into the other sites. When asked about the current tone and tenor of the congregation, King says NewSpring now feels more like a family. In fact, a common phrase heard around the church is “No ordinary family.” Churchgoers linger in the lobbies because they “want to hang around and talk.” And pastoral staff members try to be more “visible and accessible” to church members, King says, so they’re viewed as part of the family. This increased emphasis on family has coincided with a decreased focus on attendance numbers. One decision NewSpring made during the leadership transition was to stop reporting weekly turnout. “We just wanted to be focused on discipling and growing and shepherding our people,” King says. Much as a family works to overcome financial difficulties, NewSpring committed to not borrowing any money until its debt was erased. In less than two years, King says, the debt has decreased by about 25 percent, from $47 million to $36 million. The church also now sets aside 10 percent of its budget for missions, realizing it needs to be a “church of tithes” as an example for members. Many models of church leadership exist, King emphasizes, and NewSpring’s team approach isn’t necessarily the best—or right for everyone. It’s simply what the Holy Spirit has told them to do, he says. King points to Acts 15, where key apostles who’d been on the frontlines with Jesus needed to make important decisions. Verse 28 uses the phrase, “It seemed good to the Holy Spirit and to us.” NewSpring has built on that biblical model, King says, and the result has been what he calls both a miracle and a revival.